TALLAHASSEE – Gov. Rick Scott and the Cabinet of the State of Florida issued a resolution recognizing March 30, 2017 as Welcome Home Vietnam Veterans Day. 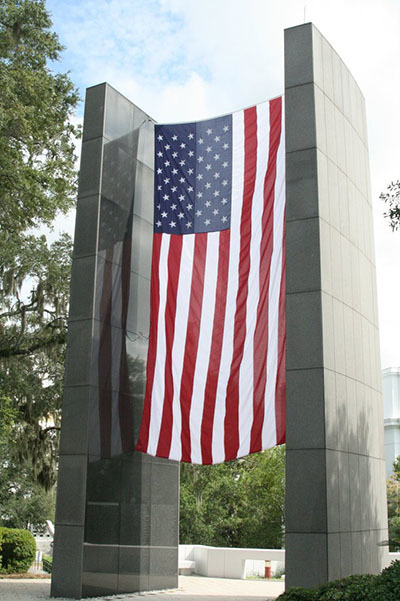 To thank and honor veterans of the war on behalf of a grateful nation, the State of Florida in 1985 erected a Vietnam Veterans Memorial in Tallahassee next to the Capitol building. One out of three veterans in the State of Florida is a Vietnam-era veteran, according to the U.S. Department of Veterans Affairs. WHEREAS, we can never fully repay our debt of gratitude to those historic men and women who served, were wounded, or even died in battle, and this presents the opportunity for the people of the Sunshine State to honor and thank our Vietnam Veterans for their service to our country. BE IT FURTHER RESOLVED that the Governor and Cabinet of the State of Florida encourage citizens to participate in local Welcome Home Vietnam Veterans Day activities honoring the men and women who have stood watch over America. IN TESTIMONY WHEREOF the Governor and Cabinet of the State of Florida have hereunto subscribed their names and have caused the Official Seal of the State of Florida to be hereunto affixed in the City of Tallahassee on this 14th day of March 2017.